What is the best way to promote your online shop and boost sales? How can you increase organic traffic to your ecommerce store without relying on PPC and paid advertising? The answer is through ecommerce SEO. In this post, you will learn what is ecommerce SEO, what is the difference with ‘normal’ SEO, why you should invest in ecommerce SEO and how to approach the search engine optimization for an online shop. Ecommerce SEO (or Shop SEO) is a term used to describe the search engine optimization process for online shops. In simple words, it’s a set of rules to apply to an ecommerce website so that it’s search engine friendly. Is ecommerce SEO different than SEO? The obvious question is, what is the different between ecommerce SEO and SEO in general? Is it the same thing with a different name? Ecommerce SEO includes all concepts of SEO with an addition of some guidelines that are specific to online shops that may not be applicable to other types of websites. For example, for a non-commerce website, the category pages may not be so important SEO wise, but for an ecommerce website they are important and need special attention. Another difference is blogging. An active blog has a different role to play when doing SEO for ecommerce websites and when doing SEO for non-ecommerce websites. To avoid any confusion, anything you read about SEO in my SEO Tutorial or SEO Guide, is applicable for online shops as well. Shop SEO is over and above normal SEO. 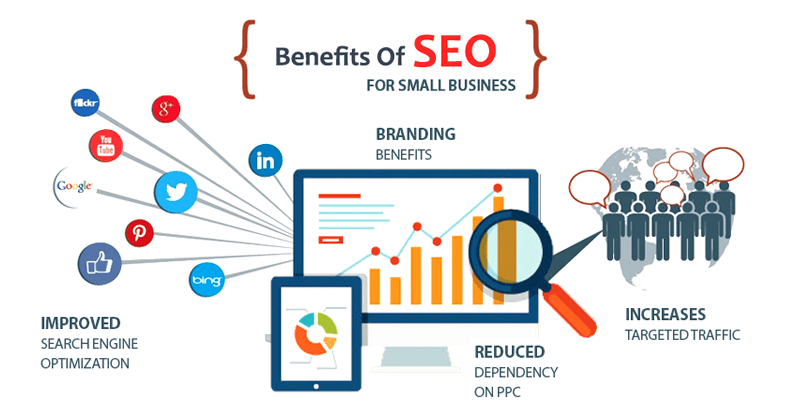 What are the benefits of SEO for ecommerce websites? Why should shop owners invest in SEO? 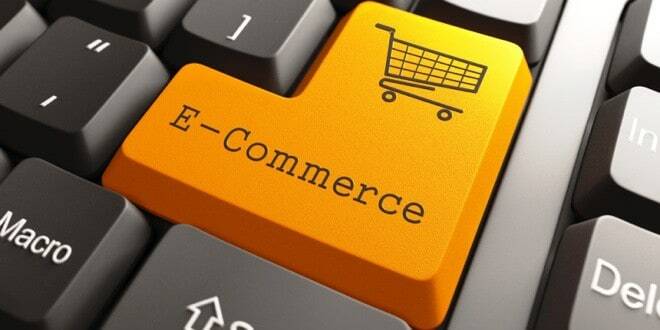 An ecommerce website is in reality an online business. It’s not a hobby or a website made for fun, but it’s a business that needs to make sales, profit and grow over time. Search engines respond to millions of queries per day and many of them are related to ecommerce. Besides going directly to ebay or amazon, thousands of people per day are using search engines, and in their majority Google, to find a product to buy. Ecommerce SEO will help you gain exposure in search engines and get your fair share of traffic. Getting traffic from search engines is the first step but it’s not enough. What you need is targeted traffic. Targeted organic traffic is coming from users who know exactly what they want. These users have a clear intent and they express this intend when they type a query in the search box. For example, when a user types “buy hd water resistance video camera” in the search box, it has a clear intend and if you have an ecommerce site selling video cameras, it’s the type of user that will most probably convert. Through Ecommerce SEO you will be able to identify and optimize those long tail keywords that can get you higher rankings and make a difference to your business. If you already have an online shop, you should know that there are a number of ways to get instant traffic to your website. Google Adwords is one of the most popular and efficient ways to get traffic fast, followed by Facebook and other social networks (depending on your niche). The problem with these methods is that once you stop paying for advertising, traffic and sales will drop. That’s not the case with SEO. A well designed SEO campaign will bring traffic to your website 24X7 for months or even years to come. It does take time for SEO to work but the results are long lasting, creating a higher ROI in the long run, compared to any other marketing technique. So, if you want to create a business that will generate traffic on its own without relying solely on paid advertising, SEO is the way to go. Hint: You can also read adwords vs seo for more differences between the two. Many of the concepts of SEO are related to usability and how you can make websites that are friendlier to both search engines and users. When you decide to adopt SEO principles or hire an SEO consultant to help you optimize your website, the end result will be a website that’s easier to use and ranks higher in the search results. Besides assisting in getting the right type of traffic, SEO can give you guidelines on how to increase your conversion rate i.e. sales. Conversion optimization is a process that takes time and requires a lot of a/b testing but it is driven by SEO principles. How to approach SEO for ecommerce websites? The best way to optimize an online shop is to follow a structured approach. This means that you need to have a plan in place that will cover all aspects of SEO. Technical SEO is always the first step when doing a website review or performing an SEO Audit. Technical SEO will ensure that search engines can crawl and index your shop without any issues. Once you get the technical SEO correct, your next step is keyword research. Keyword research is important for all types of websites but it’s even more important for ecommerce websites. If you target the wrong keywords, you will get traffic but you won’t make any sales. As explained in my article: How to do keyword research for an ecommerce website, the results from the keyword research will define the structure of your shop and give you enough data to optimize your home page, category pages and product pages. Ecommerce websites need to have an optimized structure. It has to be very easy to use, simple and SEO friendly. If your structure is not optimized, you won’t make any sales. It’s as simple as that. What is the best structure for your store? Besides following some standard guidelines (like having a hierarchical structure), keyword research will guide you on how to structure your shop. If you already have a store up and running, you get some traffic but you are making no sales, it may worth reviewing and optimizing your site structure based on the results of keyword research. Optimizing your shop’s home page is different than optimizing the homepage of your blog. The homepage of an ecommerce website has a lot of roles to play. It has to be a highly converting landing page but at the same time it has to be informational and welcoming to the users. It is normal for an ecommerce website to have a lot of category pages. For most websites category pages serve no SEO purpose but this is not the case with online shops. Category pages are essential for navigation purposes and very valuable for SEO purposes. The product pages are the most important pages for ecommerce websites and have to be optimized for both search engines and users. Product page optimization can be tricky, especially if you are selling products that are also available on other websites on the Internet. Failing to SEO optimize your product pages, will result in low traffic and more reliance on other methods (besides SEO), to drive traffic to your store. I mentioned above that ecommerce SEO will help you create a better converting website and in order to do that, you need to optimize your cart and checkout pages. It is very common for different types of shops to get users to the cart and checkout pages but only a small percentage of them to actually convert. Cart and checkout page optimization is not difficult, once you get it right once, you can forget about it and concentrate on other areas of your shop that need more attention. When you first optimize an online shop, you do it based on best standards and practices. You work on your technical SEO, do keyword research and optimize the structure and pages of your shop. In order to decide what to do next, you need to have a reporting system in place that is properly configured. A good reporting system besides tracking sales, it also tracks user behavior. Analyzing user behavior can give you the next steps for your SEO optimization process. An ecommerce website needs to have a blog. Blogging for ecommerce purposes is not exactly the same as blogging for general traffic. There are some guidelines to follow before deciding what to write about and which keywords to target in your blogs. Once you have a highly converting website, you need to get high volumes of traffic to the site and make sales. SEO techniques, such as those described above, will help you have an optimized site with good rankings. To get your pages to the top positions, you need good off-page SEO and link building is one of the off-page SEO tasks you need to master. Besides SEO, there a number of other methods that although are not directly related to SEO, they can indirectly impact your SEO efforts and success of your ecommerce website. Things like social media marketing, Facebook marketing and retargeting, email marketing can be work well with SEO and help you achieve your business goals. Ecommerce SEO is a must of all shops. A well optimized shop will rank higher in search engines and this translates to more traffic and sales. The difference between normal SEO and shop SEO is that the latter includes specific recommendations which are applicable to ecommerce websites. Even if you are making sales through AdWords or other PPC platforms, spending a portion of your monthly budget on ecommerce SEO, is the best investment you can make for your business. 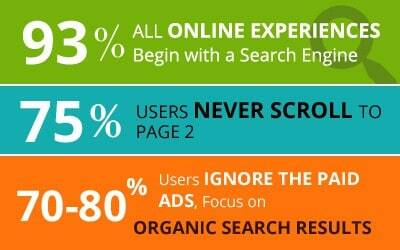 The best way to optimize your shop for search engines, is to follow a structured approach. I have outlined above the steps to take so that you don’t miss anything that is important. Stay tuned as I will be covering each step in more details in the coming weeks. Should be remembered that algorithms for ranking search results are constantly changing. In addition, competitors are also not asleep. This means that if you do not pay enough attention to site optimization (given the constant changes in this area), you can very easily jump off the leader positions. And getting there again will be very difficult. it’s very informational post. the keyword is very important thing for every website. when we selecting keywords then should elect very carefully. if we target wrong keywords in e-commerce website we get loss definitely. so you should use paid tools while choosing keywords. I Know for beginners SEO on ecommerce is little bit difficult than any other niche!! eCommerce SEO is the most challenging but more profitable than Adwords. Thanks for sharing your vision with us. Thanks for sharing with us such a insightful post on eCommerce seo. Most of the time when we are working on ecommerce we forget about seo and focus more on paid part. This post very easily shows why seo is important for ecommerce industry also as long term relations can only be created by seo.